Le Marais Prestigious Great Apt, Balcony, AIR COND. 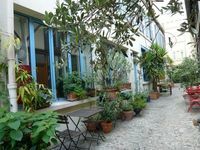 Property 31: Le Marais Prestigious Great Apt, Balcony, AIR COND. Property 36: Fabulous Marais Luxurious one Bedroom ROSIERS. AIR COND. Property 37: COZY APARTMENT IN THE MARAIS - TWO STEPS AWAY FROM THE CITY HALL! 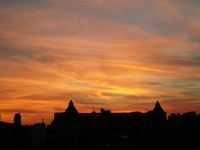 Property 47: Charms, Location, Amenities & Cleanliness: the Perfect Parisian Life! We were loved this beautiful, light filled apartment. Set in a lovely building and in a wonderful neighborhood. We were so close to the Metro (minute)it was easy to get anywhere in Paris. The area had a variety of shopping options including wonderful little shops in the neighborhood to purchase bread, pastries, cheese, meats, fruits and vegetables, and wines, as well as a general grocery store. We were happy to have a lovely temporary home to start and end our day in! We would love to return! The property owner is lovely and very helpful and welcoming. We really enjoyed meeting her and were so happy for help and graciousness!